Lid for the Ashby Raised Toilet Seat. 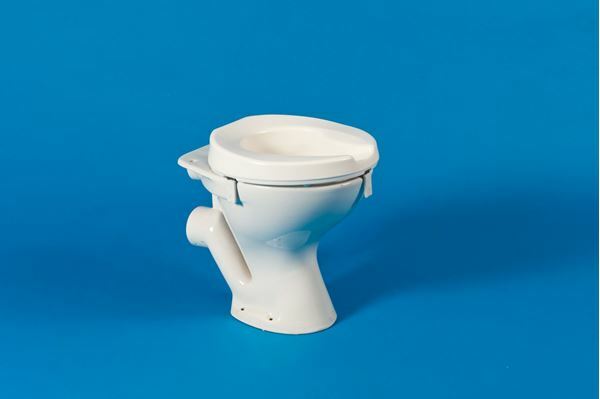 An Ashby Raised Toilet Seat is a simple way to reduce bending and the danger of over-balancing for those with limited mobility. It is perfect for healthcare issue, as the one piece moulding can be totally immersed for cleaning, or sterilised in an autoclave. The bulk packs feature anti-bacterial protection as standard, permanently moulded into the seat. An Ashby seat can be fitted securely to most toilets in a matter of seconds, locked on with brackets that are easily adjusted by hand. The top of the seat is shaped to distribute the user’s weight over a greater area, providing a comfortable seat and helping to hold the occupant in position. A wide cut away at the front allows easy access for personal cleaning. 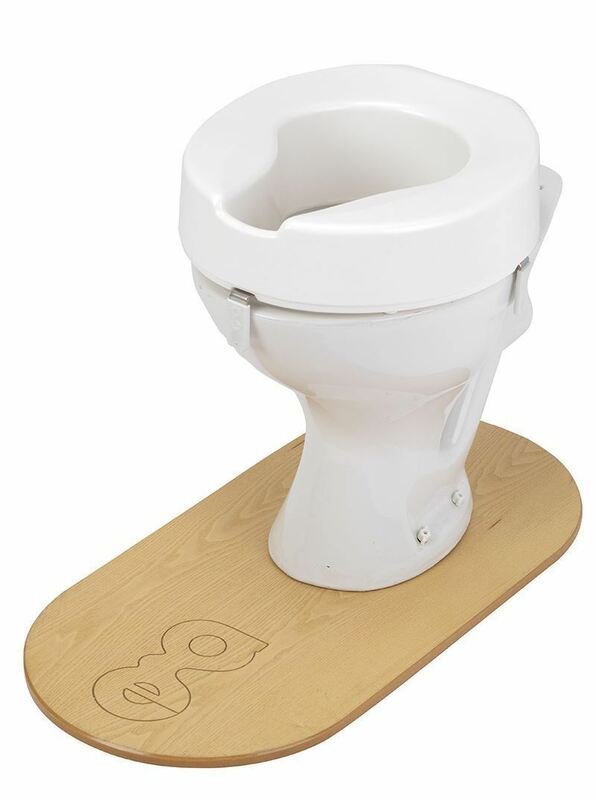 The Ashby Raised Toilet Seat is available in three heights; 2, 4 and 6 inch (5, 10 and 15 cm). 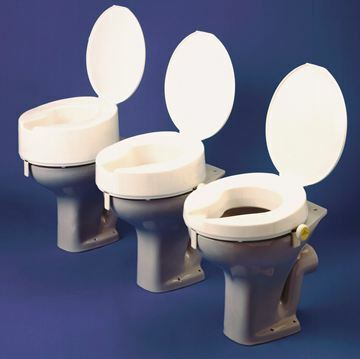 The Deluxe models incorporate a lid which is strong enough to be used as a bathroom seat. The lid is supported by a high quality hinge which resists falling down and can be cleaned.